A great pack weight saver, but not the ideal hardshell for regular or heavy use. The Optimizer from Outdoor Research is a fully featured hardshell jacket at an impressively low weight. It's an outstanding jacket for milder conditions and specific use, like when you want to save pack weight. However, to be so lightweight while still having lots of useful features (like chest pockets, a bi-directional zipper, and several adjustment points), OR used much lighter weight material. This does not seal out the wind quite as well, so we didn't like this jacket for colder or more severe weather. However, it did make it very breathable. For a jacket hailing from Seattle, we appreciate the maritime climate bias—thinner fabric is easier for our body heat to pump moisture through, a welcome attribute in the humid coastal ranges. The Optimizer from Outdoor Research is worth getting pretty excited about even if it doesn't crush the competition in this review. The Optimizer is well suited to outdoor use, but compact enough to keep with you around town, too. The Optimizer features three-layer Gore-Tex fabric, the gold standard for hardshell jackets. This is a burly, weatherproof, breathable fabric. The jacket also has an impressive stormproof hood with three adjustment points and a generous brim to keep weather out of your eyes. While this is an excellent hardshell, it got knocked down a little in this category for two main reasons: the shorter length of the back panel and the use of lightweight 20 denier fabric. The shorter relative back length means weather can sneak in easier, and you might get a draft when you raise your arms. The lighter weight fabric also made us more cautious about taking it out for bigger mountain objectives, and meant it did not feel as protective in the wind. We liked the spacious, adjustable, comfortable hood design of the Optimizer, and the brim that kept snow and rain out of our eyes. For a three layer jacket that is fully featured but feels more confidence inspiring for a broader range of adventures, check out the Norrona Trollveggen or the Arc'teryx Beta AR. The light fabric and raglan sleeves make the Optimizer feel almost like you're wearing a sweatshirt—and the inner fabric feels almost as soft against your skin. This is a great jacket for pulling climbing moves of all sorts. The more supple fabric does sometimes get weighed down when wet, however, and can feel more catchy against your skin or layers underneath. For this reason, we much prefer the stiffer fabrics used by Arc'teryx, combined with their excellent paneling design which still allows for impressive freedom of movement in materials that feel as if they would be too stiff to be comfortable. The Optimizer has an athletic fit and a spacious but adjustable hood for comfort with or without a helmet. The Optimizer is optimized for breathability in humid environments. We are not surprised this was developed by a company based in the Pacific Northwest where temperamental weather conspires with sea-level humidity to significantly challenge even the most breathable hardshell jackets. The three-layer Gore-Tex fabric is an excellent choice, and for this category, so is the use of 20 denier (lighter weight) face fabric. This thinner fabric made it easier for our accumulated body heat to pump moisture out of the fabric—no small feat in a relatively humid maritime mountain climate! The inside of the Optimizer is soft next to skin, but the suppleness does make it cling closer to skin or inner layers when it's really wet out. The Optimizer does not have pit zips, but with the light and breathable the fabric, we didn't feel we needed them, and we like the weight savings and the articulation of a smooth, pit-zip-free sleeve. For a very similar jacket for a lower price point, check out the REI Stormrealm. And for another lightweight jacket that does have pit zips, we recommend the Arc'teryx Beta SL Hybrid. At 10 ounces for a small (OR reports 11.6 ounces for a medium size jacket), this is an impressively lightweight jacket. In this model, the weight savings is made by using 20 denier, or lighter weight, fabric. This comes at a cost to durability, and how well it blocks the wind—which often comes along with those burly storms. Other jackets, such as the Arc'teryx Zeta SL or the Beta SL Hybrid make the weight savings by minimizing features and using more durable fabrics. This can come down to a matter of preference, but we did ultimately appreciate more durable fabrics both for garment longevity and protection from the elements. For a more affordable and still fully featured model, we like the REI Co-op Stormrealm. The Optimizer has some of our favorite features - chest pockets! And it not only has one, but two! There is one with the zipper inside the jacket, and one with the zipper outside. We love these pockets on our hardshell jackets; they're great for snacks or navigation tools that you want close at hand, and it can keep things warmer next to your body, which can be good for your phone if you're using it with your navigation app. The Optimizer has three adjustment points on the hood which is great for customizing fit with or without a helmet and to seal out the elements. We appreciate the generous visor as well. The jacket has a two-way zipper as well, so you can unzip it from the top or bottom. This can be nice for getting to pockets inside another layer, or draping the jacket over a harness instead of tucking it in underneath. We loved all the features on the Optimizer, such as the hand pockets, the two chest pockets (internal and external), and adjustable hood and hem. If features aren't your jam and you just want a simple, straightforward jacket, we like the Arc'teryx Zeta SL. The Optimizer uses lightweight 20 denier fabric, among the lighter weight fabrics in this review. It's great for weight savings and effective breathability, but not as renowned for durability. This jacket feels thin enough to make us cautious about taking it out on colder adventures or bigger peaks. The Optimizer is, well, optimized for high aerobic pursuits in wet climates. This is an excellent hardshell for moderate elevations and milder temperatures, but not as well suited to extreme conditions. The thinner face fabric makes this a more delicate layer, better suited to activities where you don't encounter sharp things like jagged rocks. We liked this for weather in the Pacific Northwest, and as an emergency storm layer when we wanted to save pack weight and take a lightweight shell—it is a fully featured three-layer shell jacket, after all! Due to the lighter fabric, it's not the best daily driver, and better saved for those fast-and-light missions. The Optimizer is an excellent, fully featured, lightweight hard shell best saved for those fast and light missions, it's not the most durable to be your daily driver. The Optimizer is a very well made shell jacket with our favorite features: the internal AND external chest pocket! The jacket is a fully featured three-layer shell, but it is made of lighter weight 20 denier fabric which is less durable. As such, we think this is a great layer to save for those fast and light missions where light weight is critical, but you still need a fully featured hardshell jacket. At $399, this jacket is in the middle of the pack in this review. If you're looking for a workhorse hardshell jacket, this might be a little more than you want to spend because it is thinner and less durable overall. However, if you need a fully featured hardshell and you want to save several ounces over the competition, this just might be what you're looking for. The Optimizer is a fully featured, very lightweight hard shell jacket. The Optimizer from Outdoor Research is an excellent jacket. It is a fully featured, three-layer shell, ready for all but the most extreme activities or climates due to the use of very lightweight 20 denier face fabric. As such, this is a great niche model for those looking to shave several ounces of weight from their pack weight, but who need to have a fully featured hardshell just in case the sky cracks open midway through a summit push. Backcountry $159.58 - 60% off! Amazon $219.42 - 45% off! 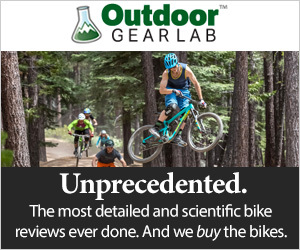 REI $278.73 - 30% off!